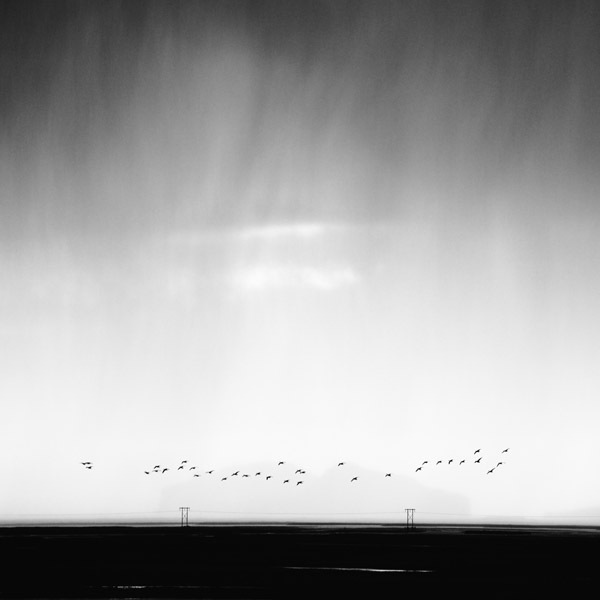 A flock of geese and a rain filled sky on the south coast of Iceland. One of the biggest influences on my own fine art photography has been Chinese and Japanese ink wash paintings – a monochrome style of painting using just a brush and black ink. Great subtlety of tone is achieved by varying the intensity and speed of brush strokes and concentration of the ink. I’m sure that here in Europe if you asked the average person in the street who it was that invented the concept of impressionism in art they would come up with names of some of the famous group of artists working in France during the last half of the 19th century – artists such as Monet, Cezanne or Van Gogh. Those with a deeper knowledge of art might cite artists such as JMW Turner who were producing impressionistic paintings 30 or 40 years earlier than this. What most westerners don’t realise is that artists in China and Japan were already producing works of art that we would describe as ‘impressionist’ more than a thousand years before the style was made popular here in the west. Originating in 6th century China and rooted in far-eastern philosophies of Taoism and Zen Buddhism, ink wash painting soon spread to Korea and Japan. The ink painting below is called ”Haboku-Sansui” and is by the Japanese artist Sesshu Toyo (1420-1506). He was a Zen Buddhist monk but he also travelled to China for several years to study art. As a Zen Buddhist, Sesshu’s intent in the painting would have been to express the inner spirit or ‘Chi’ of the landscape – to give a representation of his vision of its inner truth. Also, translated from Japanese, ‘Zen’ literally means meditation, and as a Zen Buddhist monk, Sesshu’s life would have been a simple meditative one devoted to the search for spiritual enlightenment – I am sure that this painting says as much about his own personality, beliefs and way of life as it does about the landscape that he is depicting.